Brown Hares Lepus europaeus are the larger cousins of the Rabbit. 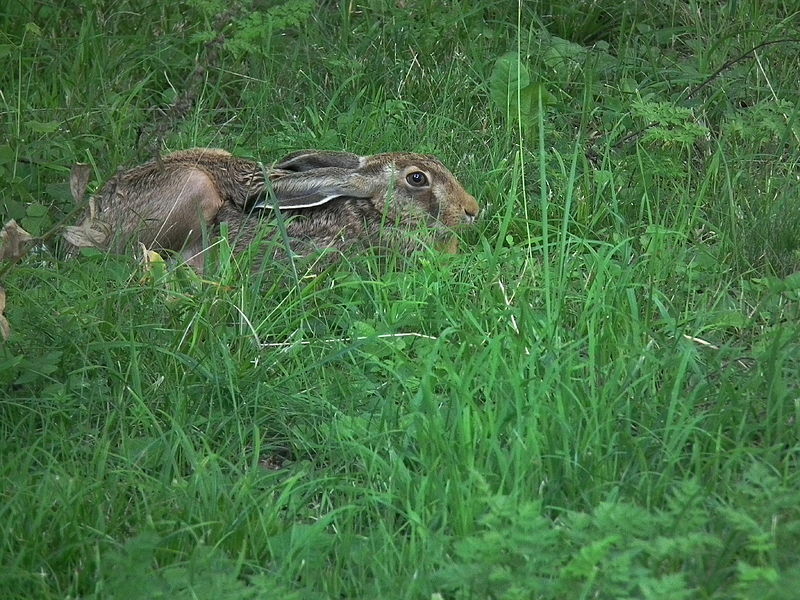 Whereas rabbits enjoy a good warren, Hares stay above ground all their lives. 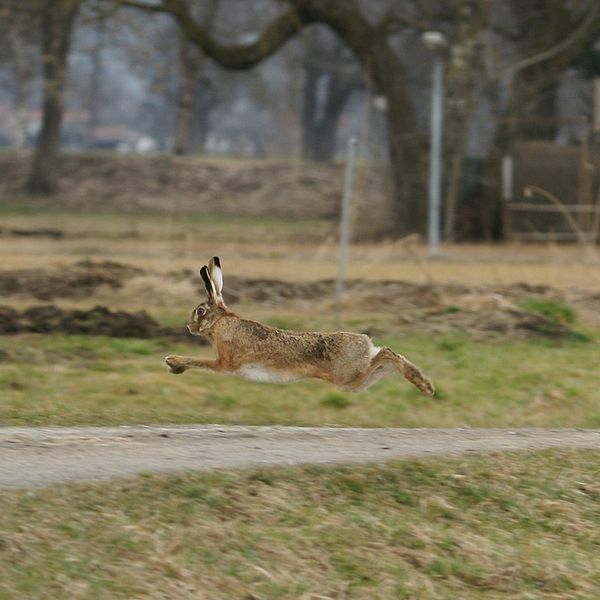 To live without the security of a warren the Hare became fast, running upto 45 mph fleeing predators. 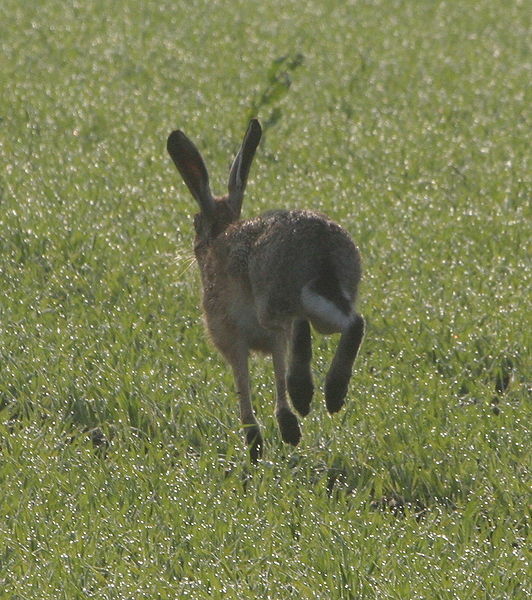 In Early spring you may be lucky enough to see the 'Mad March Hares'. 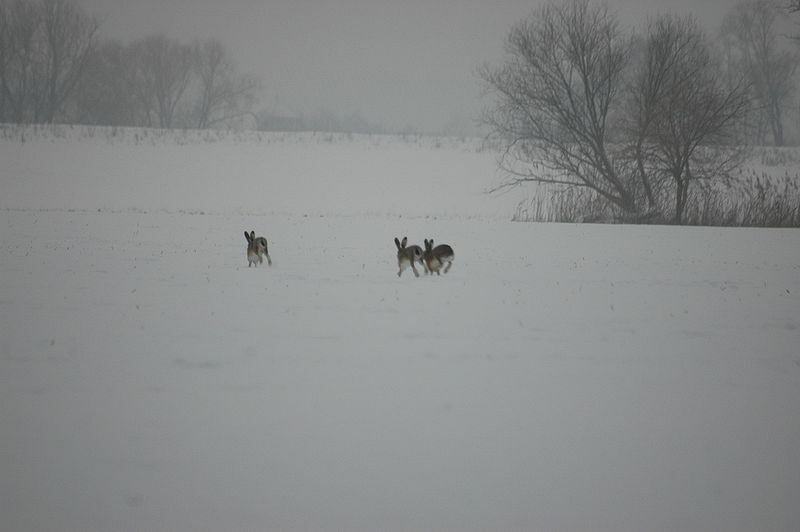 The apparent boxing match is between a doe and a buck, he wants to mate but shes not ready! To begin with the sight of the Leverit (young brown hare) in their back gardens was unusual and pleasent. 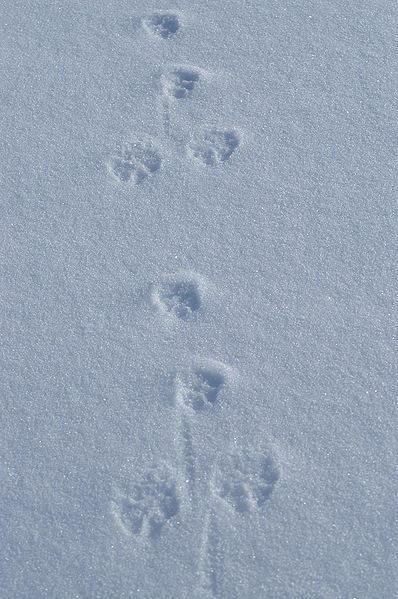 The young hare soon made himself at home visiting a number of properties which gardens backed onto the same field. He became so comfortable that he began hopping inside the residents homes via open patio doors. A novel experience the first time it happened, but the young rebelious hare was not house trained. He began urinating on carpets, pooing everywhere and chewing anything he fancied the look of. The retired residents were no longer able to leave their patio doors open and it was now the summer. Somewhat amused by the story we loaned them some of our rabbit traps and with some simple instructions they were able to catch the rengade and relocate him some 20 miles away.